If you’re looking for strong and long-lasting labels that don’t easily peel off, then you should take a look at our permanent range. Our customers often use our permanent labels for marketing and promotion, product branding and packaging. Within the first few minutes of application, these labels can usually be peeled off and reapplied, but once the adhesive has cured the labels will stick with a permanent bond. Our paper, polyester and vinyl labels are all available with permanent adhesive. Browse our ‘high tack’ range of polyester and vinyl permanent labels, which are designed for strong, long-term adhesion, and can be used on a wide range of difficult surfaces. These labels are also suitable for use in environments prone to moisture, and the high tack vinyl labels are weatherproof, making them suitable for outdoor applications. Alternatively, if you are after labels that are non-permanent, our range of removable labels are made from the same high quality materials as our other products, but with an adhesive that is designed for single or temporary use. The labels can easily be removed when they are no longer needed without leaving behind any residue. Available in a wide range of colours, textures and appearances, this range is suitable for a multitude of applications. If you are hoping to stick labels onto clothing without marking them, or change the batch date on reused packing, then these are the labels for you. If you are specifically looking for labels that are suitable for products which will be frozen, our range of polyester and vinyl permanent labels are designed for strong, long-term adhesion, and are suitable for many difficult applications, including containers intended to be frozen. Our freezer labels are often used for food or medical products. Creating your own labels doesn’t have to be difficult or laborious. Here are some tips to get you started. 1. Decide where you are applying the labels before you start. You will need to create a design that not only represents your brand perfectly, or displays your important information clearly, but also that works well on the object your applying the label to. This will also be important when considering the label material you wish to use. If, for instance, you are applying clear labels to clear bottles, make sure your label text is not the same as the liquid in the bottle, as this will not be eye-catching. 2. Make sure you have read our colour and resolution blog. In order to ensure a high quality printed label, it is important that your design is in the right colour mode and of the right size and resolution before it is printed. We generally ask that designs are sent to us in CYMK colour mode, at 300 dpi resolution and 100% size. Our colour and size blog explains this further: Colour & Size Blog. Although we ensure your labels are well aligned when printing, there is always a chance that the printer will shift slightly. When printing labels, it is important that the background of the artwork extends out further than the label perimeter so that any slight shifts will not create a white edge on the label. We ask for at least 3mm bleed (extended background) on each side of the label. Our artwork guideline blog explains this in more detail: Designing Your Own Labels Blog. In addition to bleed, it is also important to consider the safe-gap when designing labels. Again, due to a possible shift when printing, any text or detail needs to be about 3mm within the label size so there is no chance of it being cut off. Our artwork guideline blog explains this in more detail: Artwork Guideline Blog. Whether you making labels for product branding, for packaging, or for conveying valuable information, it is crucial that the design is eye-catching and exciting. Here are some examples of what we think are great designs: Great Product Design Examples. Sometimes the most eye-catching and successful designs are the most minimal. Here are some examples of some great product designs that we’ve hand-picked for you: Ten Product Design Examples. A good tip for keeping it simple is not to cram too much writing in a small label. Ensure your text is clear and legible. If you are struggling to create the right size artwork, or you are unsure how the labels will fit on the page, download one of our free Word or PDF templates. The template shows you were the label edges will be, so remember to extend the background at least 3mm out from the line, and have any text 3mm within it. Before sending us your designs, it is always recommended that you print your designs at home first. This way you can ensure that you are happy with the colour that prints, which as mentioned earlier can be different to what you see on screen; you can ensure that text is legible when printed; and that you are generally happy with the overall outcome. We also recommend testing any barcodes or QR codes that you might have. In order for us to set up your design for print, it is preferable that you send original files such as AI, PDF, INDD & EPS files, as these are workable files in case we need to make any necessary adjustments. If this isn’t possible, we also accept other formats such as PNG, JPEG, PSD & TIFF files. Remember, unless you specifically ask us not to, we will always send you a proof before we print. This means our designers inspect the quality of the image and will contact you if there are any issues with the format or design, and you get the final say in how your design looks before it’s printed. 10. Talk to our designers! If you have any issues, questions or concerns about any of the previous steps, or just need a hand with your designing, then don’t hesitate to contact our designers who will be more than happy to help. No matter your profession, you are bound to need labels of some kind at some point. This blog breaks down the different labels we offer and how their application might be useful in different professions. Many of our customers are from the educational sector, often ordering labels for diary inserts, labels for marking and feedback, or even personalised stickers with the school logo on. If you work in a school or nursery don’t hesitate to contact us for plain labels you can print your design on yourself, or printed labels on which we can print your design for you. If you need help designing your labels, our free design service is here to help. 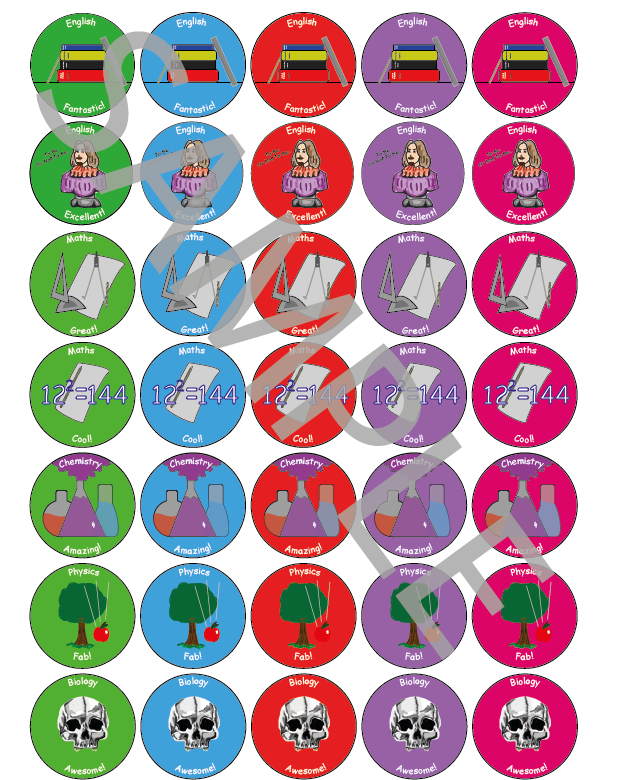 Visit our website to start ordering your school labels today: http://www.flexilabels.co.uk/. You can use the ‘Find My Labels’ tool to search labels by size any shape, or you can use the tabs at the top of the page to search by sheet size. We also have a wide range of pre-printed labels perfect for use in schools. Keep kids interested and enthused with a lovely selection of motivational stickers, or motivate them with our specific school subject labels. 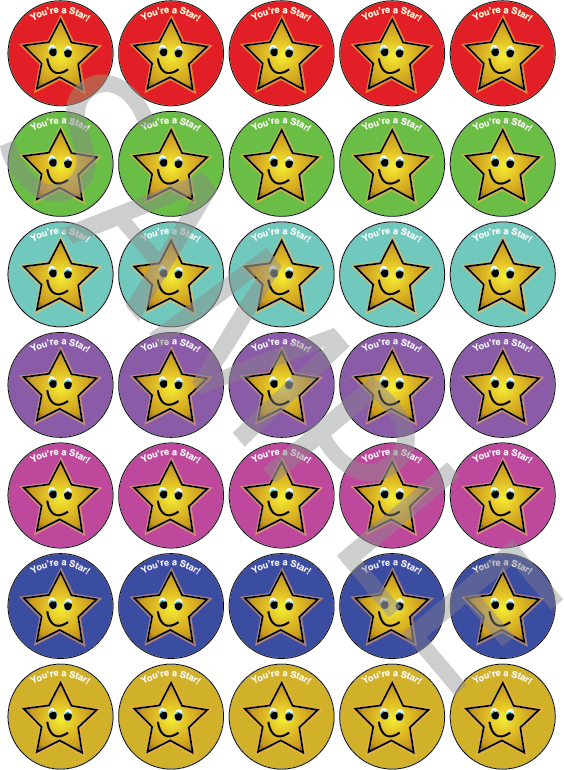 We have stickers for maths, science, art, english and many more; as well as stickers with 'well done' and 'you're a star' messages. They are available in a range of different colours and designs, but if you require something different please contact us. If using labels on clothing or as temporary additions to diaries, we recommend our Removable labels, as they will peel off easily without any hassle and without leaving any glue residue. Another profession in which removable labels are very popular, is in healthcare, particularly dentistry. The removable labels are perfect for a pick-me-up for kids after the dentist, and easily peel from clothing without leaving any glue residue. Just send us your design, or use our free design service and we'll design something for you, for example using your dentist surgery's logo. Alternatively, why not browse our pre-printed motivations labels with messages such as ‘you’re a star’ and ‘well done’ which are great for cheering kids up after their dreaded dentist visit, and they're already design for you. All you have to do is pick the material and quantity you desire and we'll do the rest. We also offer a vast range of paper and polyester labels with permanent or removable adhesive, which are ideal for bottle labelling, filing, and maintaining patient records. If you work in healthcare don’t hesitate to contact us for plain labels you can print your design on yourself, or printed labels on which we can print your design for you. If you need help designing your labels, our free design service is here to help. Click these links to browse our paper: http://www.flexilabels.co.uk/a4-sheet-paper-labels and polyester: http://www.flexilabels.co.uk/a4-sheet-polyester-labels labels. We offer a great range of vinyl labels, which are hard-wearing, waterproof and weatherproof. 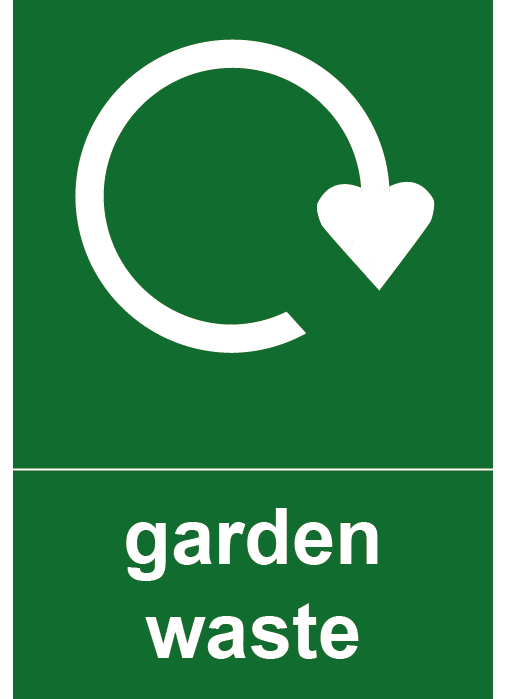 Great for use outdoors, for instance recycling labels for wheelie bins or outdoor signage. Just follow this link to browse our vinyl labels: http://www.flexilabels.co.uk/a4-sheet-vinyl-labels. Simply select the size, shape and material of the labels you need, and either upload your design for us to print, or contact our design team to design something for you. If you work for the council it is definitely worth looking at our range of pre-printed labels, which include various household waste and recycling labels, as well as prohibitory sign labels such as ‘No Smoking’ for public areas. We have a whole host of designs which you will find useful, but if there is anything that you can't find, please contact us and we will be happy to help design something to suit your needs. Electricians, builders and security officers will benefit from our polyester and vinyl labels which are hard-wearing and waterproof. Vinyl labels are great for outdoor use, as they can withstand the great British weather. Great for labelling equipment that might be used outdoors, or for doors and windows. If you work in one of these professions; our pre-designed, pre-printed labels are a really quick and convenient way of attaining labels for electrical safety, PAT testing, CCTV, and much more. 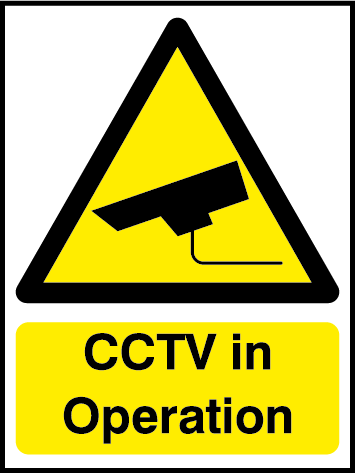 Click the following links to browse what we have on offer: http://www.flexilabels.co.uk/cctv-security-labels; http://www.flexilabels.co.uk/inspection-labels; http://www.flexilabels.co.uk/electrical-labels. Administrators and office staff will find our paper labels are perfect for filing, mailing and much more. Whilst our paper labels are great quality, they're a perfect budget label for everyday use. You will also find that we have a variety of pre-printed labels ready for immediate use in your office. Whether numbering or lettering for organsiation; or shipping labels for posting packages, we are certain to have pre-printed labels to suit your office's needs. Here we've listed just a handful of professions that might find our range of plain, printed and pre-printed labels useful around the workplace. This hopefully gives you an idea of how versatile and necessary labels really are, and how much they are used around us. If your profession isn't listed here, or you have any questions about specific uses of our materials, or the design service we have to offer; please do not hesitate to contact us. Happy labelling! Recently we have been working really hard to expand our range of pre-printed labels. Pre-printed labels are everywhere; in every public place, every business and even around our homes. Even in the unlikely event that you haven’t seen food hygiene labels in kitchens, or PAT test labels on appliances, then you will definitely have noticed fire exit labels on doors around your workplace. For this reason, we understand how important these are for our customers. We want to not only provide exciting labels for our customer’s product branding, but also all the necessary ones for around the business. We have a broad range of pre-printed labels on offer, useful for a myriad of applications. Here are some examples; click on one of the images below or the subheadings to be directed to some of the pre-printed subcategories we have available. Inspection Labels - As well as PAT Test labels to ensure appliances have passed their safety tests, we also offer an extensive range of Calibration and Quality Control labels. 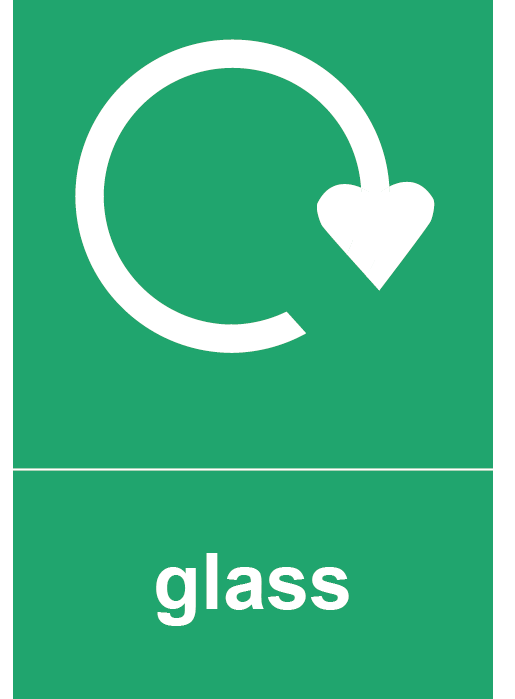 Recycling Labels - We also have a variety of household waste and recycling labels for use in public spaces or at home. 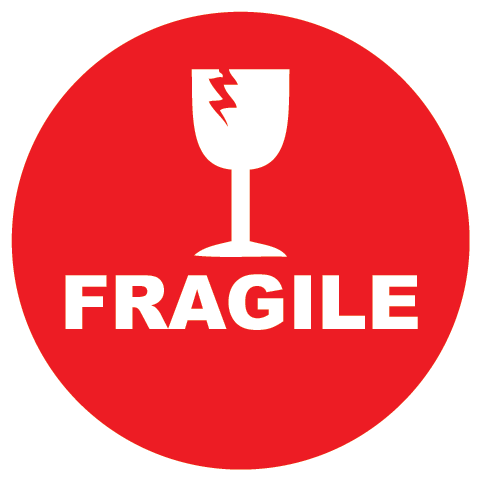 Shipping Labels - To ensure the correct postage and handling of your items, we have a broad range of shipping labels on offer, including ‘Fragile’, ‘Urgent’, ‘Do Not Use Sharps’ and many more. Prohibition Labels - We also have a range of prohibition labels for displaying rules of the premises and security warnings. Promotional Labels - In addition to the range of mandatory pre-printed labels, we also offer promotional labels for retail and selling. These help indicate prices, offers and sales. Educational & Themed Labels - We also have an exciting and ever-expanding range of educational and holiday themed stickers, all designed in-house by our lovely design team. We hope you enjoy these designs as much as we do, but we’re still looking to expand the range! We really welcome any suggestions of pre-printed labels that you need but we don’t offer yet. Please get in touch! Follow Flexi Labels on Facebook! We've recently been working on making our Facebook page more appealing by providing regular updates about our company and the services we offer. 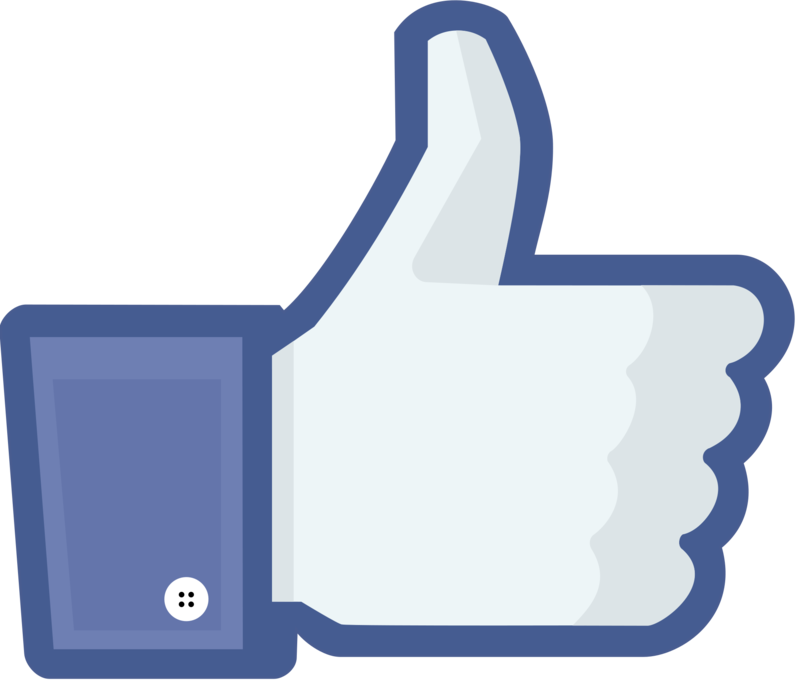 Our Facebook page is a great way for new or existing customers to interact with our staff and company in general. If you have a question about any of our products or some feedback or a review of a recent purchase from our website, we would love to hear from you! If you have any images of the labels we have supplied in use, maybe on your product packaging or as part of your company branding, we would love to share them on our Facebook page. We're always interested in hearing about how our labels are being used whether for commercial purposes or charity and fundraising work, get in touch and we'll share your images, videos and testimonials. We also use our Facebook page to share the latest updates to our custom label portfolio. It's a great source of inspiration to our new customers and showcases the high quality of labels you can expect, if you are considering using our custom label services. Here's the link to our page, look forward to seeing you over there! We supply a large number of online retailers, eBay sellers and Amazon Marketplace users with shipping and address labels, which are used when dispatching products via Royal Mail or by courier. Our standard range includes a number of suitable label types for a number of different uses including invoice labels, returns labels, packing slip labels and delivery note labels. One of our most popular label types is our 2 Shipping Labels per A4 Sheet, 89 mm x 84 mm which is an A4 sheet with x2 integrated labels located at the bottom of the page. This is ideal for use as a packing/delivery note, as the order details can be printed at the top of the page with the x2 labels being used as a delivery label and a returns label, one label with the customers delivery address and one label with the sellers return address. For printing customer address labels only we would recommend our 8 Address Labels per A4 Sheet, 97 mm x 69 mm which is an A4 sheet with x8 good sized labels and small margins between each label. This is ideal for printing multiple customer delivery labels for attaching to the outside of product delivery packaging. These labels provide plenty of room to accommodate most addresses in the UK and by using our labels templates they're easy to print and customise to your needs. We also supply SmartStamp® compatible labels. SmartStamp® lets you print postage onto envelopes and labels, customise them and pay for them, all from your own PC. It's a great way to save time and money and you can personalise your labels with your own logo. One of the popular labels in this range is the 10 Smartstamp® Labels per A4 Sheet, 99.1 mm x 57.3 mm which is an A4 sheet with x10 address labels and small margins between each label. We love the striking simplicity of this cosmetics packaging design by Pearlfisher for brand NERD. 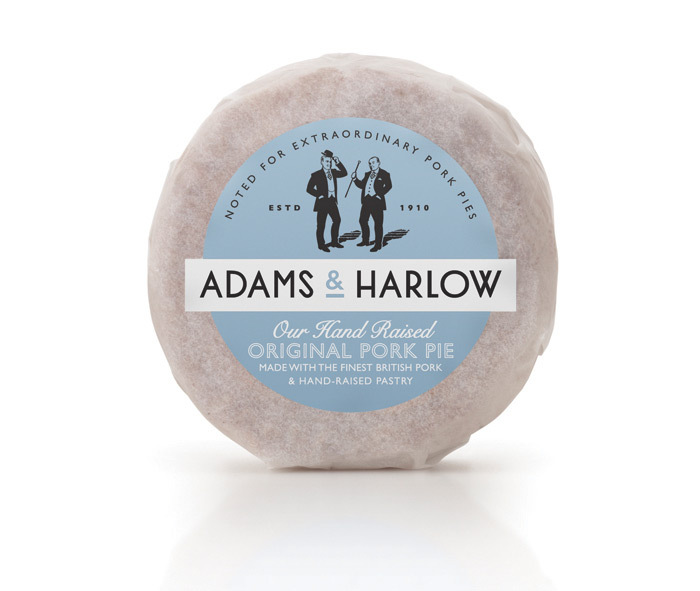 You can't go wrong with these traditional yet quirky pork pie packages from Adams & Harlow in Lincolnshire. This divine range of designs by Glasfurd & Walker for Dirty Apron Spices cleverly reflect their contents, letting the spices speak for themselves. 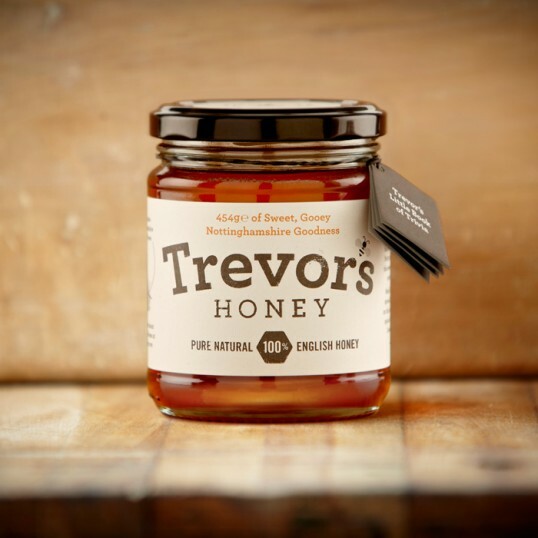 This sweet branding makes us want to grab a spoon and tuck in to some of Trevor's Honey! 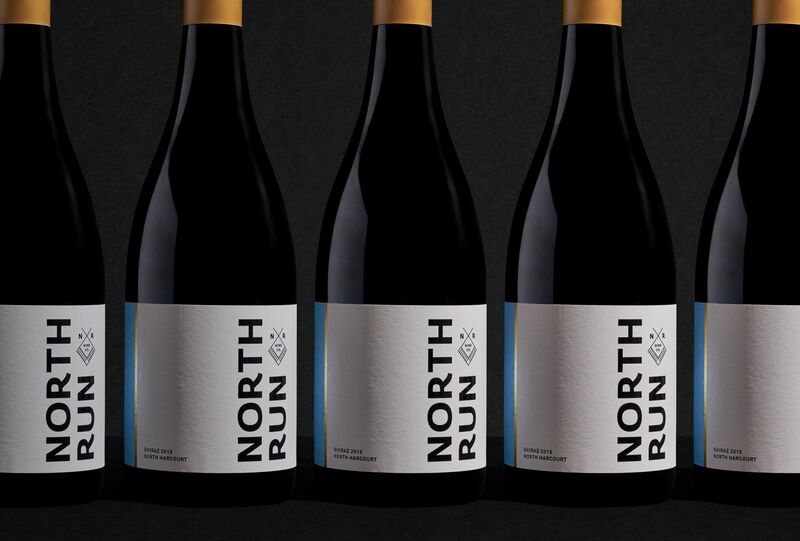 These simple bright labels really contrast the dark bottles, making the design bold and eye-catching. This Peruvian Kitchen range from Here Design really brings the colourful culture of Peru right to your kitchen. 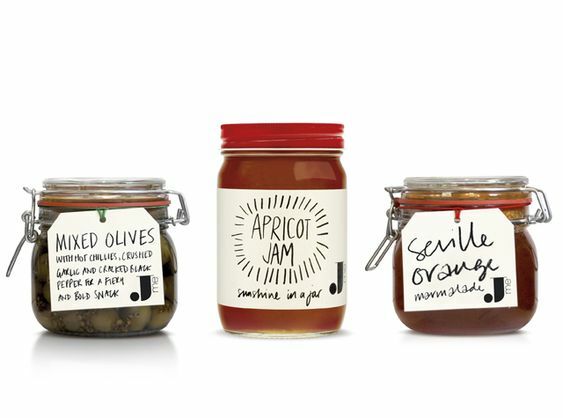 These lovely preseve labels really embody Jamie's image of homemade comfort food, whilst still being professional and consistent. As you can see, there are some very contradictory feelings for the same colour. When designing a company logo or a label for product packaging, the feelings toward certain colours must be taken into consideration. Company logos can convey meaning simply through the use of certain colours. If you can influence your target audience to react positively towards your brand, it gives you a great opportunity to then provide your product or services to them. So when you're working on your next project, stop to consider the power of colour and how you can use it to your advantage. Our standard range of plain labels are suitable for a wide variety of applications but if your project requires something a little bit different, we also provide a custom printed label service. Maybe you need a unique label to fit in with your company branding? Or a bespoke label to fit within the space constraints of your product packaging? Whatever your needs, we're here to help. At Flexi Labels, we work closely with our customers to fully understand their needs and requirements. We understand that no two projects are the same and we realise the importance of the finer details of label design. After the initial contact with our customers, we go through the options that are available and offer advice and guidance on the best way to produce their labels. A design can either be supplied by our customers or we we can offer our own in-house graphic design service. If the design is to be supplied by our customers, we are able to assist with the label specifications including the resolution, print margins and bleed areas. If our in-house design service is used, we take care of everything and provide design proofs before proceeding. For wider items up to - Length 45cm. Width 35cm. Depth 8cm. For deeper items up to - Length 25cm. Width 25cm. Depth 16cm. If you've been especially generous this year and you need to send a large parcel, you may need even larger labels! Royal Mail define a large parcel as bulk items up to - Length 61cm. Width 46cm. Depth 46cm. Often referred to as "the web's original source for royalty-free stock images", iStock (iStockphoto.com) is the granddaddy of the stock image world. They were one of the first websites to offer stock images and they are still considered to be the leader in their field. iStock's trump card is choice. There are almost 10 million files available and due to it's reputation in the market, new content is being generated constantly by it's dedicated and loyal contributors. We would recommend iStock if you're looking for high quality, premium images and graphics. 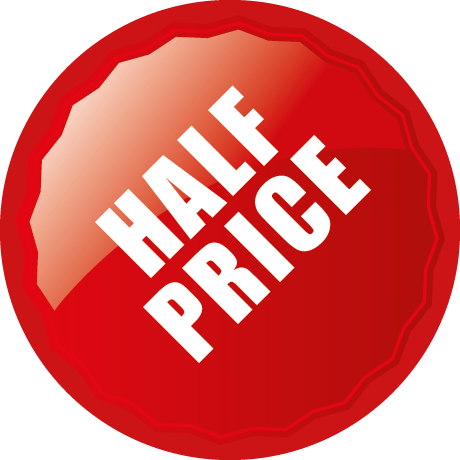 You will pay a price for this quality, currently the cheapest credit pack is £35.75 for 30 credits which works out at £1.19 per credit. When you to take into account that even a medium resolution image can cost several credits, it can get quite expensive but overall, we think it still represents good value for your money. With over 23 million files to choose from, 123RF offer a great range of images to use in your label design project. Although the quality of images are not as high as iStock, they provide a great service at a more affordable price. The site is really easy to use and the search facility works very well. Having the ability to match images to your search criteria is the true test of a good stock image site. Each stock image site uses a similar method to tag images with relevant keywords, which are then picked up by the internal search engine of the site. 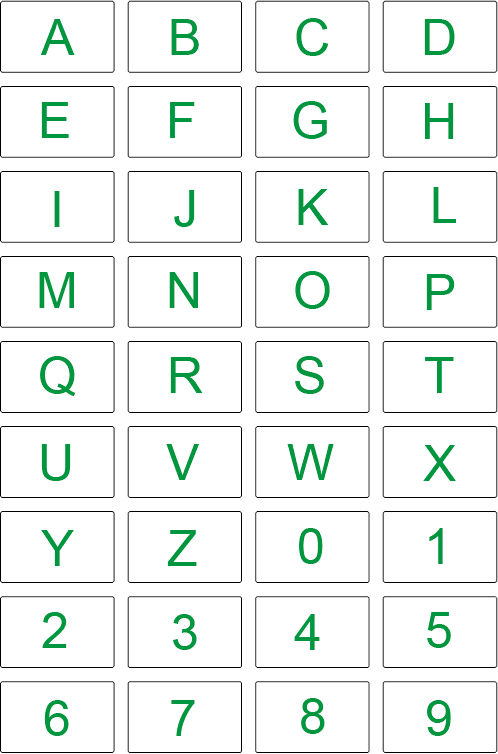 123RF's search system is normally very accurate and within each image detail page, further related keywords are suggested to help you find the most suitable image for your needs. With credit packs starting from just £15 for 20 credits and subscriptions starting at £69 for 5 images per day over 30 days, there's a solution to suit most budgets. We've been using Ingimage for a couple of years now and it's a great alternative to the major stock image brands. Based in the UK, they offer very competitive subscriptions with their top level "access to everything" plan only costing £589 per year. They often run promotions for reduced levels of downloads per month and we've seen offers for 50 downloads per month for only £149 per year, which incredible value! The choice and quality of images are, understandably, not the highest but the images are more than adequate for most label design projects. Like most stock image sites, there is a biased towards US based content but if you delve a bit deeper you can find UK specific content, which is essential if you want your designs to appear relevant for a UK audience. We would recommend Ingimage if you're on a budget but looking for regular access and images downloads. It's been around now since 2001 and if you've ever tried sourcing images you're bound to have stumbled across SXC.hu. It's well known in graphic design circles as one of the last free stock image websites. The quality and choice of images isn't great but when everything is free, you can't complain! If you're starting out and have a very limited budget, you can find images and graphics within the site which are perfectly usable and acceptable for your label designs. It's simple to use, just create an account, find the images you need and start downloading. To help subsidise the cost of running the site, there are numerous links to images from iStockphoto and these are displayed directly within the search results. The idea behind this is that you may be tempted to buy one of the higher quality images offered by iStock, if you can't find a suitable image from SXC. As with any free resource, there are always compromises but if you lower your expectations, it's a worthwhile addition to your stock image resources. How To Design Professional Labels For Free! If you want to design your own labels for your business, school, charity or community organisation, you need to have the right software. Unfortunately, the industry standard software packages such as Microsoft Office, Adobe Photoshop and Adobe Illustrator are quite expensive and if you're on a budget, the costs simply do not add up. Fortunately, in recent years, there has been an increase in the availability of high quality, feature rich and more importantly free word processing and graphic design software. Here's our guide to some of the best free software solutions currently available, which will help you to create professional labels without breaking the bank! This has become the no.1 alternative to Microsoft Office, as it offers a genuinely comparable user experience, with all the features you would expect from paid for software. For designing and laying out labels, you can use Open Office Writer, a powerful word processing package. Writer supports .doc and .docx files, allowing you to open and edit readily available labels template documents. For drawing graphics you can use Open Office Draw, which has a number of built in shapes and graphics to use in your designs. Once you get past the odd name (Gimp actually stands for GNU Image Manipulation Program) you'll find a powerful image editing software package which supports all of the common image file formats. It includes all of the painting features you would find in Photoshop and a number of advanced image manipulation tools. It's ideal for editing images to be used in your labels designs and although, in our experience, the interface takes time to master, the cost savings compared to a full version of Photoshop, make the steeper learning curve well worth it. Although it shares its name with the universally loathed Microsoft Paint program, Paint.net is a far superior alternative and was initially designed as an advanced replacement for the original software. It has developed into a highly regarded software package which has won numerous awards for its intuitive and innovative user interface. It has a number of useful special effects and a very handy unlimited history, which allows you to Undo and Redo to hearts content! Google have provided the Google Fonts service for some time now, allowing web designers access to a wide range of contemporary fonts, free of charge for use in web pages. These fonts are also available for desktop applications, such as the ones featured here via the Sky Fonts service from Fonts.com. We're great fans of innovative and interesting product labelling. We love seeing designs which challenge conventions and give a unique twist on a common solution. In this blog post, we thought we would put together a few examples of our favourites which use labels as the main focus of the product packaging design. Some combine great design with easy to read information, others are more focused on the aesthetics, rather than their practicality but they are all worthy entries to our list and can provide inspiration for your own product packaging. Dog Shampoo - Design By Modern Dog Design Co. When printing barcodes on to A4 sheet labels, there are 2 key factors to consider: accuracy and print quality. Even with recent advances in print technology for the home and small business, it's still difficult to achieve the accuracy and the high levels of print quality provided by a professional printing service. Barcodes are made up of a number of black vertical lines, in various widths which when combined represent a product code in a numerical format. They are widely used on product packaging as a means of product identification and stock control. If the print quality is not high enough, you may find that the vertical lines can be blurred or worse, merge into each other. If this happens, there's a strong possibility that the barcode could not be read by a barcode reader. Also, when printing large batches of A4 sheet labels, sometimes the alignment of the labels can be affected and without a good understanding of print margins and paper setup, the accuracy can be reduced dramatically. So if you are planning on using our range of A4 sheet labels for barcodes, ensure you have a high resolution image which when printed you have made sure it is scannable. If you are still not sure, do not hesitate to contact us regarding a quote for our barcode printing service. Visit our website www.flexilabels.co.uk or call us on 01733 561 327 for more details. We also offer flyer printing, envelope printing, stickers, poster printing, roller banners and pavement signs. Visit www.flexiprintshop.co.uk to order online or give us a call on 01733 602 606. If you're after a great value, no frills printer and you predominantly need to print simple black text on to your labels, this printer should fit the bill. It's cheap, at only £49.99 but prints a respectable 20 pages per minute and holds a useful 150 pages in its paper holding tray. HP are renowned for producing high quality, durable laser printers, we even use them in our production facility for our printed label service. Although there's a step up in price, the cheapest we've seen them is around £190, there's a big jump in the amount of features with the LaserJet Pro 400 and most importantly, it's very quick. This printer can print up to an impressive 33 pages per minute with high resolution printing capabilities. Wireless printing is another technology which has become far more affordable in recent years and it's now available on a wide range of laser printers. The Samsung SCX-3405W is a great entry level wireless laser printer and it's also a 3-in-1 machine within printing, scanning and copying facilities. It's still a mono machine in this price range (around £100) but if you would benefit from having the scanning facilities in one small, compact unit, it represents great value for money. You can produce fantastic results with a colour laser printer and the Brother HL3150CDW allows you to produce professional grade colour prints thanks to its 2400 x 600 dpi print resolution. It also has wireless capabilities, which allows you to print from your smartphone or laptop. At around £150, we think it provides a genuinely cost effective alternative to a colour inkjet printer. At around £260, it's the most expensive of the 5 printers here but still well within reach of most home and small business users. The HP LaserJet Pro 200 Color M276 is a wireless all-in-one printer with a user friendly colour touch screen control panel. It prints up to 14 pages per minute in colour and mono and with its 35 page automatic document feeder, it's a versatile machine which takes the strain out of large print jobs. Which Label Materials Are Suitable For Food Packaging? Following on from our previous blog post, which was about our experiences of supplying customers with waterproof labels for cosmetics and beauty products, today's post covers a similar theme and a common question, which label materials are suitable for food packaging? We supply an eclectic mix of food businesses across the UK, who use our labels as part of the packaging of their products. From our experience, it's another growing market, especially "cottage industry" style home-based businesses, creating a range of foods including sauces, drinks and snacks. Glass jars and bottles are still one of best ways to package certain food and drink products. Also, plastic based packaging such as bottles, trays and containers are also low cost and more flexible alternatives. Good quality labels play an important part in the overall packaging of a product. They can be the main focus, for example, a large round bold design label on the jar of a fruit preserve or an integral part of securing the packaging, for example, to seal a clear plastic container for popular products such as coleslaw and chilled dips. Food packaging also plays a major part in a consumers decision making process, a recent study conducted by Which? magazine revealed that food packaging can even convince people that food tastes better! If a label is a major part of the packaging, it not only needs to look good but also retain its adhesion to the product when put under stress or when in contact with water. So if you've been slaving over a hot stove for hours on end perfecting your grandma's legendary hot sauce, needing multiple loaves of organic bread all night or meticulously decorating dozens of vintage style cupcakes, show off your creations to the best of their ability by completing your packaging with high quality Polyester and Vinyl labels. We recommend polyester and vinyl labels as they provide a permanent and waterproof solution for food packaging. They help to create that polished and professional look of commercially printed packaging labels. We can supply matt, gloss or clear labels, to help compliment your packaging. Visit our website for more details: http://www.flexilabels.co.uk. We also offer a label design and printing service, where we can produce labels to your exact requirements. Visit our portfolio to view examples of our previous work: http://www.flexilabels.co.uk/portfolio Whether your producing food on a small scale to sell at your local farmers market or have plans to be the next Levi Roots, choosing the right label materials from the start can help you to create the right impression and hopefully reflect the quality of the food behind the label! We've been supplying and printing labels for a number of years now and deal with a vast array of companies across the UK and Europe. We've supplied labels to many different industries and this has given us a great insight into what types of businesses rely on high quality labels for their products. Within the last year, we've supplied a large number of businesses within the cosmetics and beauty products industry.There are some fascinating products out in the market, being produced by creative and innovative companies, which we've been proud to be involved with. We've helped many new companies get off the ground, as we can manufacture these labels at a very low cost, compared to traditional printing methods. One of the main concerns for a start-up cosmetics and beauty product business is being forced to buy high volume, minimum quantities and run the risk of potentially being left with thousands of wasted labels. We like to work closely with our customers and if they only needed a couple of hundred labels to get them started, we’re here to help. Have a look at our growing portfolio for examples of our previous work. We can produce self-adhesive waterproof labels for newly setup (home-based), growing and established cosmetics and beauty businesses. As cosmetics and beauty product labels are most likely to be used around water, they need to be durable and resistance to water and any type of moisture is essential. Our cosmetics and beauty labels are water resistant, scratch-proof and weather-proof. We can cut these labels to any shape and size to suit the product design for any bottle or container. We can also print any colour and print the artwork on to matt, silk and gloss finish labels. We also offer clear labels or opaque labels to complement or enhance the product packaging. 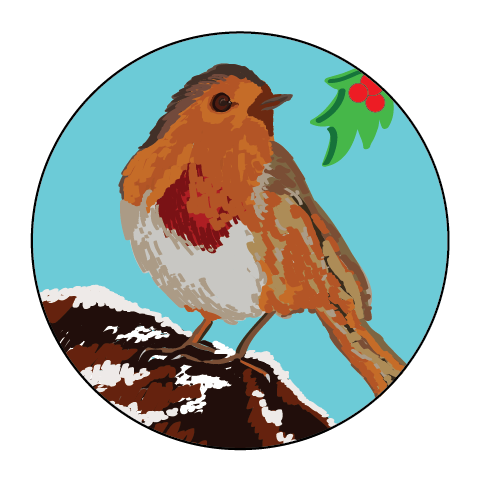 Most of our customers provide their own artwork but we also offer a free basic design service. If our customers are not familiar with graphic design software or do not have access to a professional designer, they can simply provide us with their logo and some guidance on the required content/text and our own designers can put together a selection of mock-up designs. We provide free PDF proofs prior to starting the printing process to ensure you are happy with the design, before going to print. Once the design has been approved, we have a quick turn-around and in most cases, customers have their labels within 3 to 5 working days. For more details about our label printing service, visit our website: http://www.flexilabels.co.uk/pages/design-service or call us on 01733 646 292. Here's a scenario: you've established that you need labels for your latest project or event and to keep costs to a reasonable level you've decided to order a pack of A4 sheet labels from a reputable online retailer, such as, Flexi Labels (therefore displaying excellent judgement and impeccable taste, of course!). You have read our guide on how to design your own labels and it's now ready to go in a digital format, in the correct dimensions to fit each label perfectly. The labels arrive in no time at all (via our brilliant courier delivery service! ), you load them into your printers feed tray and you're ready to print, right? Well, in some cases maybe but it's most likely that you need to do a little preparation before firing up your printer. Based on our experiences, if you follow our simple label preparation guide, you'll save valuable time, label sheets and printer ink. 1. Make sure your printer can actually print onto the labels! We know it sounds a bit obvious but it's well worth checking in advance that the labels you require are suitable for your printer. Not all labels are the same and certain material types will only be compatible with certain types of printers. Our website provides detailed information within each product description regarding material and printer compatibility. When your labels arrive, take them out of the box and leave them in their plastic bags ideally for around 4 to 6 hours before printing. By doing this you are bringing the labels up to room temperature, this will increase the print quality as the labels’ surface will not be too hot or too cold. If you've ordered polyester labels, take them out of their plastic bags at least 1 hour before you start printing. This will reduce any static, as polyester labels are made with plastic and can produce static, if stored in an air-tight environment for a very long time. Gently fan the sheets and knock the edges of the sheets on a flat surface or table to align the whole batch and make it easier for your printer to feed the paper. Only feed your printer’s recommended quantity of sheets for a specific tray. Overfeeding may cause a paper jam. Make sure the leading edges of each sheet are not bent or curled, as this could also cause a paper jam. When you are running small batches of print or printing onto very small labels, it is suggested that you use manual feed trays or by-pass tray, where there is a shorter travel from feed tray to finish tray. This way the labels go through the printer at a slower speed, thus increasing the accuracy. If you're using a laser printer, try not to re-feed a sheet which has already been printed, as the label adhesive is softened when it goes through the fuser of the printer. Running the same sheet more then once means the adhesive is likely to bleed out of the labels or out of the edge of the sheet and could damage your printer. Download the correct template from our templates page: http://www.flexilabels.co.uk/help/template-for-labels All printers have a tolerance in printing which can sometimes cause alignment issues when printing onto A4 sheet labels. Refer to your printer’s manual to find out this tolerance and if required adjust the left, right, top and bottom positioning accordingly in your software package e.g Word, Illustrator or Photoshop. This is important - only print one or two sheets to start with. This is to ensure the labels are being printed correctly before running off the whole batch of sheets. We've all been there, it's quite a depressing sight watching sheet after sheet come out of the printer with a glaringly obvious typo! We always put a couple of extra sheets in with your order to allow for a trial print. You're now ready to start the printing process for real and by following all of the steps, you've done everything you can to increase the accuracy and quality of your printed A4 sheet labels. After you've completed your printing, if you have any remaining sheets, put them back in their plastic bag and if possible, continue to store them at room temperature. When designing labels for print, it's important that any digital artwork is properly prepared in advance. As with all printing processes, there are certain specifications and tolerances that need be taken into account. As a label manufacturing and printing company, we deal with a large number of digital artwork files on a daily basis which often require the odd tweak here and there. Our aim is to ensure your printed product will turn out right the first time and by following our simple artwork guidelines, you'll be doing your bit to ensure that happens. When designing for print, the resolution of your file is very important. If the resolution is too low, you're design will appear distorted and fuzzy when printed. Although your design might look perfect on your computer monitor, unless it's been designed in a high enough resolution, it's most likely it will look very different when printed. We recommend a minimum of 300dpi and if possible, we recommend that you design to scale. There's a lot of jargon in the label and printing industry but it's well worth learning about these 3 key elements for your design artwork. See the image above for reference. Although the accuracy of our label printing and trimming machines is very high, you still need to allow for slight variations in the final trim of your labels. For a standard A4 label sheet, the bleed area is printed beyond the edge of your label size. For all designs, we recommend a minimum 3mm bleed extending from the label edge. By incorporating a bleed area into your design, you can ensure that any colours or images are printed right up to the edge of your label without creating any dreaded white edges! For a standard A4 sheet label or custom label size, the trim or cut area is the actual dimensions of the label your are designing for. For example, if you're designing a label for our 21 Address Labels per A4 Sheet product, which is 63.5mm x 38.1mm, your trim area on your design would match these dimensions. As the name suggests, this is the area of your design that any important elements of your design must be kept within, including text and detailed borders. This area is within the Trim area and allows for any slight variations during the trimming process. We also recommend a minimum 3mm safe area within your design. There are certain file types which are better suited to the label printing process. These file types can include the required bleed, trim and safety area lines in an easy to read format. Our recommended file types are: AI, INDD, PDF & EPS If it's not possible to supply your artwork in those formats, we also accept: PNG, JPEG, PSD & TIFF. To ensure that any text on your design is printed using the correct font, flatten the design files before supplying them to us or alternatively include the separate font files (just in case we don’t have the fonts in-house) with your design. Hello and welcome to the Flexi Labels blog!